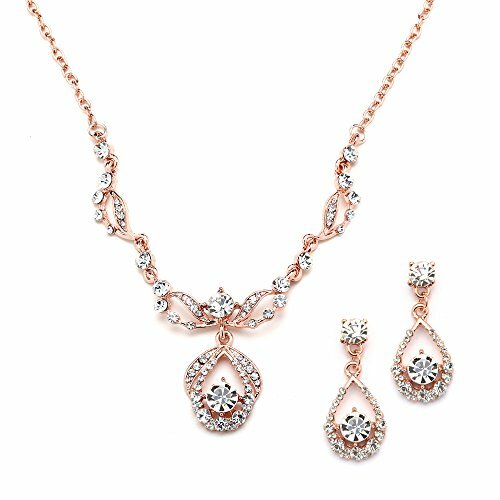 Make your grand entrance unforgettable in this gorgeous Rose Gold vintage necklace and earrings set gleaming with fiery Austrian Crystals. This best-selling crystal necklace set is the ideal fusion of contemporary design and 1920's-inspired glamour. With irresistible Art Deco style and a medium-sized silhouette, this necklace set delivers an elegant dose of shimmer for any occasion at an incredible price. This is a customer favorite perfect for weddings, proms, homecoming or bridesmaids gifts. After the big day, we love its wear-again styling great for nights on the town or romantic candlelight dinners. The Champagne Blush jewelry set boasts Genuine 14 Karat Rose Gold plating. 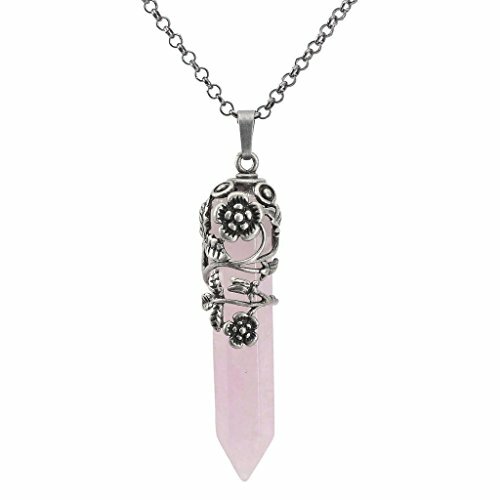 The necklace is adjustable 16" - 18" and the pendant drop measures 1 3/8" h at the center. The matching pierced earrings measure 1 1/2" h x 5/8" w and include comfort disc backings. 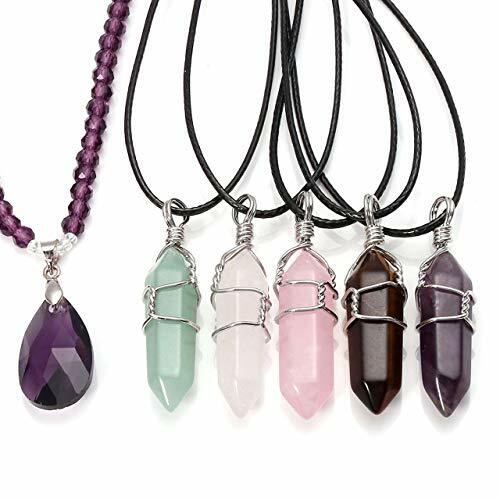 We promise you'll love this popular crystal neck set or your money-back. 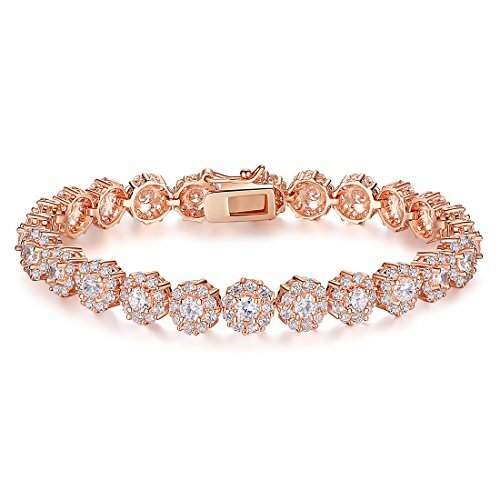 Treat yourself or someone you love to the gift of glamorous rose gold sparkle! 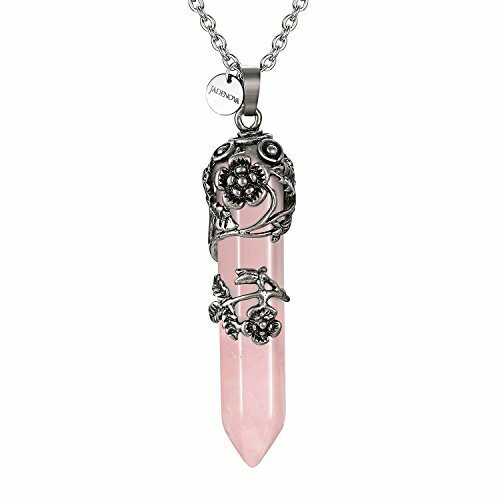 Meaning of the stones:Rose Quartz:Rose Quartz is the love stone! Adds positive love energy to relationships. Compassion and forgiveness. Calming, helps clear stored anger, resentment, jealousy, fears. Replaces negativity with harmony. Helps to balance upper four chakras and eases sexual/emotional imbalances. Enhances self-confidence and creativity. Aids kidneys and circulatory system, promotes release of impurities.Warranty item:90-Day money back guaranteed. If you are not completely satisfied with the product, please contact us through buyer seller message. We promise we will try our best to make you happy. Buy absolutely no risk. NLCAC is committed to provide the best jewelry and the best services to our customers, your satisfaction is the greatest power for me, your positive feedback would be greatly appreciated. your feedback is our motivations to improve. We are looking forward to your 5 star review. Add it to your Wish List to keep an eye on the latest NLCAC offers and promotions! Thank you very much and happy shopping.In order to let you enjoy happy shopping, we will do as follows:1. Products we sell are all in new condition and high quality.2. If you have any problems concerning our products, please contact us so that we can solve them.3. When you received the product but you are not satisfied with it, you just need to contact us, we will help you at any time.Product maintain:1.Clean with a damp cleaning cloth2.Avoid prolonged contact with perfume,hand cream and soap(All our products are nickel free and not harmful to your health. 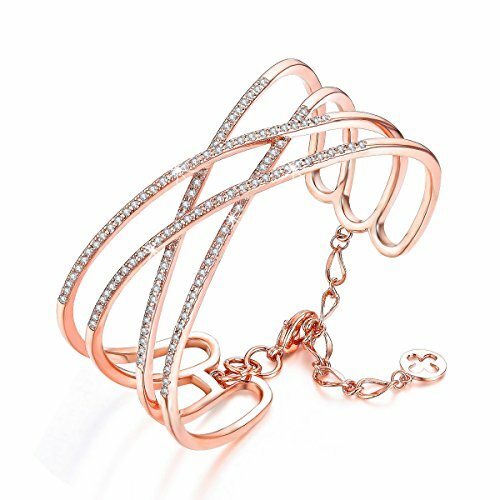 )Product Details:Color:Rose gold Material: Rose Gold Plated,CrystalStyle:Fashion,luxuriousAttention:Not for children under 10 years oldWrapping: come with gift box. 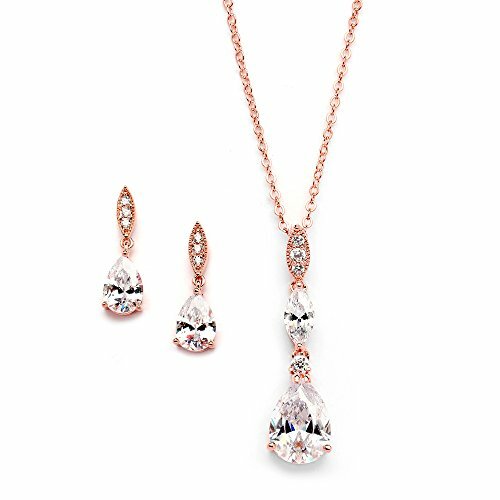 Make an unforgettable grand entrance wearing this glamorous Rose Gold Cubic Zirconia necklace and earrings set by Mariell. This breathtaking wedding necklace set features brilliant pear-shaped Cubic Zirconia teardrops gracefully cascading from sleek pave tops. The adjustable necklace measures 16" to 18" with a 1 3/4" h pendant motif and the matching dangle drop earrings measure 1" h. This Blush Gold bridal jewelry neck set is also a stunning choice for prom, bridesmaids, mother of the bride, homecoming or any special occasion. We love the hint of vintage styling mixed with sleek contemporary lines. 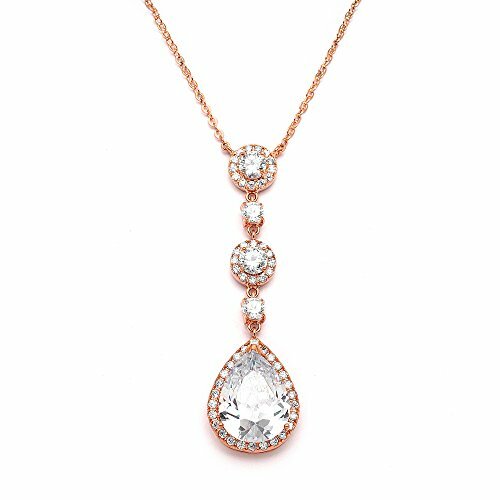 Crafted using the finest quality AAAAA Zirconium and Genuine14 Karat Rose Gold plating, this top-selling CZ neck set will have heads-turning as you light up the room with vintage rose glamour. We promise you'll adore this top selling CZ necklace set or your Money-Back. 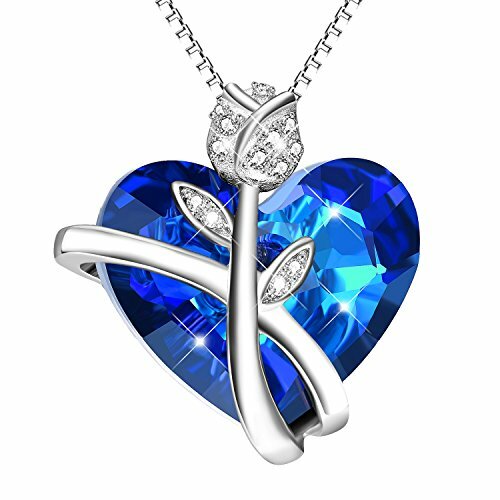 Treat yourself or someone you love to some seriously gorgeous sparkle with the look of fine jewelry at a fabulous low price. As always, enjoy Mariell's exclusive 100% Risk-Free Purchase and Lifetime Guarantee. Beautiful bracelets for every occasion. Handmade with patience and care. Sure to fill you with positive energy, health, and peaceful feelings. Every one of our handmade bracelets are made with attention to quality. We offer many different stones, sizes, and patterns. Wear one alone or stack them to make a bold statement. Makes a fantastic birthday, holiday, or executive gift! Quality gemstone beads Double strung for durability Stylish colors and patterns US company with over 20 years in the bead and jewelry industry 100% satisfaction guaranteed! Click 'Add to Cart' to buy now! Brand: Serend is a store selling fashion jewelries. All products enjoy an exquisite craftwork as well as stylish design, three layers of 18k gold plated, lead nickel cadmium free. They are very trendy, fashionable and affordable. 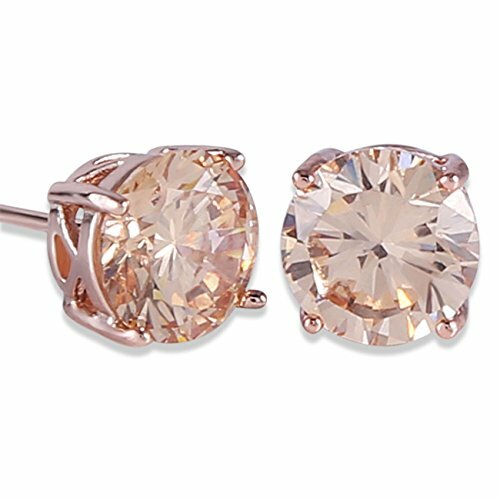 Material: Cooper in 18k Rose Gold / White Plated Crystal: Clear AAA Cubic Zirconia Stone Specifications: 1. Notes: Avoid sweat and water Avoid crash or collision Avoid chemicals Please take off when sleeping 2. Occasions: CZ Diamond bracelet bangle for all occasions, especially for wedding, engagement, party, working, traveling, vacation, gift, business, prom, home coming, cocktail, etc. Makes you eye catching in any occasions. 3. Gift: Ideal chic Cuff Bangle for your lover, families, friends and coworkers as Christmas gift, Thanksgiving Gift, New year gift, Mother's Day gift, Valentine's Day gift and graduation gift. Package includes: 1 X Bangle Bracelet 1 X Black Gift Box Service: Any question, please feel free to contact us. We will try our best to serve every customer. Chain Length: 31.5inches+1.97inches.Main Stone: Colorful Resign. Pendant Shape: Teardrop/Water drop shape.Handmade, nickel free and lead free. This is a wire wrapped pendant attached with non-tarnish chain. 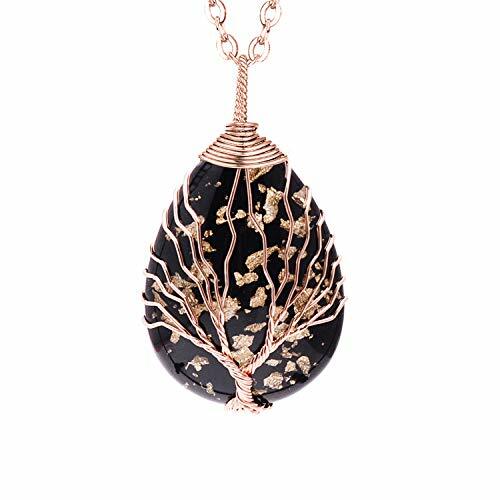 The Tree of Life, also known as The Tree of Knowledge, Family tree pendant Necklace Wedding anniversary Jewelry,The Natural Gemstone stone are Good for health, has been used in science, religion, philosophy, mythology, and other areas for thousands of years. 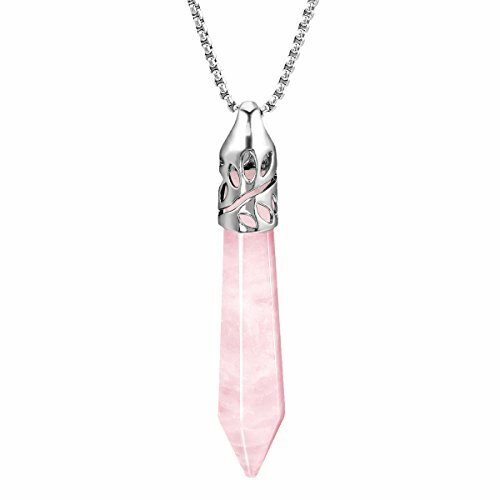 When you wear it, it promotes beauty, health, good luck, and healing. Tree of life chakra pendant necklace is the Best friend Necklace Gifts, Birthstone Necklace, sister necklace. and you can party, doing yoga and other occasions to wear and to match any casual style. Package: 1pcs pendant necklace+1 black velvet bag. Statement: These embellishments are natural quartz crystals so they may vary in color, shape and size. Please allow some difference with picture. By wearing TUMBEELLUWA healing jewelry you are keeping the stone's energy close to your chakra, making it more effective.--Ideal Gift for Special Moment--* Birthday* Wedding* Christmas* Graduation* Anniversary* Engagement* Mother's Day* Valentine's Day* Romantic Surprises--Caring For Your Stone Jewelry--* Don't crash hard objects or fall off. * Clean stone jewelry and wipe it with a soft cloth to remove any dirt. Then, store your stone jewelry in a soft pouch or jewelry case so it does not touch other pieces in your collection. * Keep it from high temperature and direct sunlight, which may cause damage to stones. * Remove any gemstone jewelry before engaging in any strenuous physical activity, such as exercise or sports. 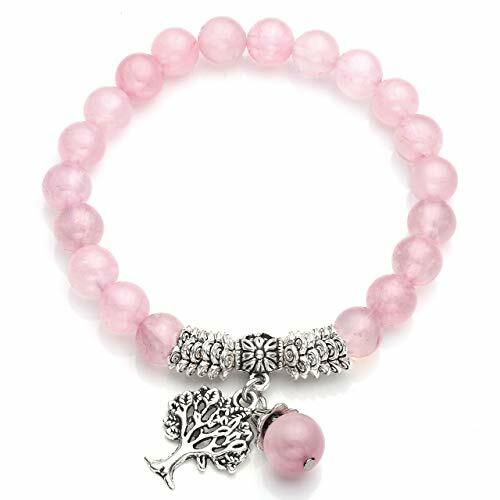 TREE OF LIFE: It is a symbol of immortality and the healing of the soul.These Gemstone beads bracelet is threaded on elastic for a comfortable bracelet for all ages, is a perfect accessory for any season. 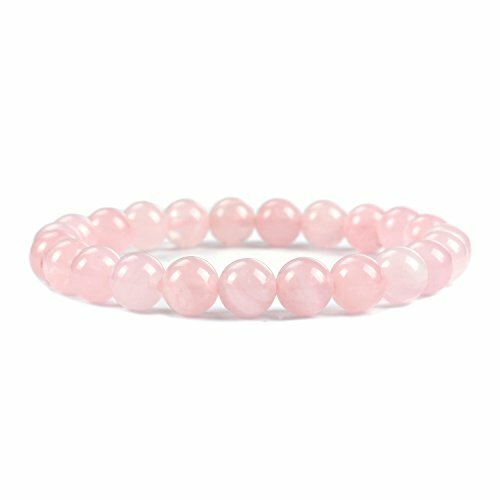 These gemstone bracelets stretch for a comfortable fit for most wrist sizes. Its fashion style matches kinds of clothes, fit for any occasion. - it definitely looks awesome. It's absolutely a great gift to your girlfriend, boyfriend, wife, husband, Valentine, mom, dad, families or friends for birthday, party anniversary etc.Buy this gorgeous jewelry today and add a touch of brightness to your wardrobe. 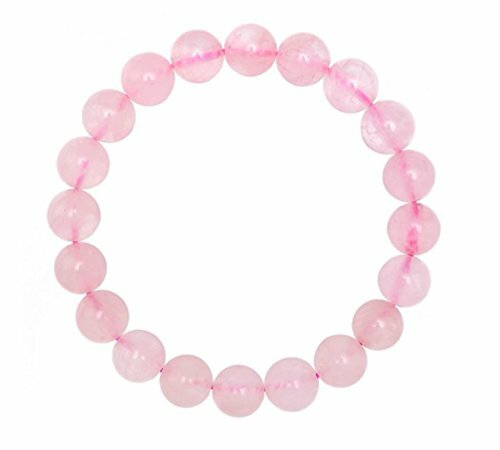 The bracelet include about 20pcs 8mm & 1pc 10mm round beads.Protecting your Jewelry1.This products are well made with top quality Natural Stone and excellent craft, so it may have stone flavor. Please try to keep it from water.2.But they may be damaged if used by inappropriate wearing habits.3.For the daily wearing purpose, it is really no problem.4.If kept well, they will look brand new for long time. Warranty item:100% high quality guarantee100% money back guaranteed. If you are not completely satisfied with the product, please contact us through buyer seller message. We promise we will try our best to make you happy. Buy absolutely no risk. 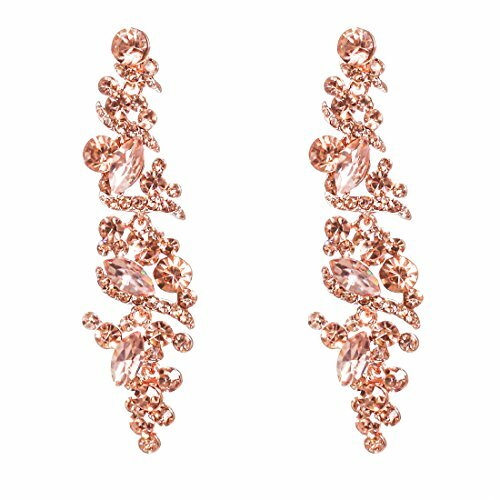 Mariell's dramatic Rose Gold Art Deco wedding earrings will bring glamorous vintage styling to your wedding or special occasion. We have completely fallen for the love the timeless elegance of these classic 1920's-inspired rose gold chandeliers. 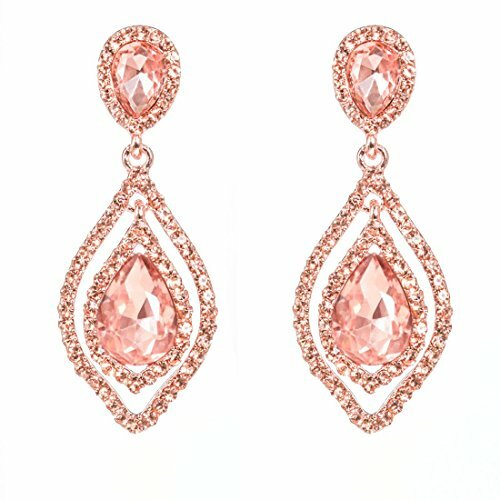 With their sleek flared silhouette, these vintage chandelier earrings sparkle with gleaming AAAAA quality Cubic Zirconia and Genuine 14 Karat Rose Gold plating. 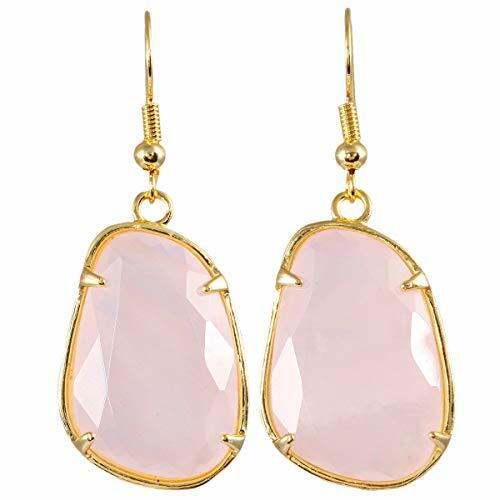 These Blush Pink gold best-sellers have the unmistakable look of priceless heirloom jewelry at a fabulous low price. 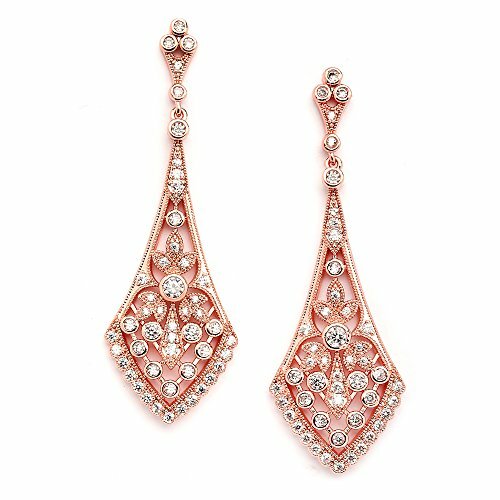 Make an unforgettable grand entrance in Mariell's jewel-encrusted antique beauties measuring 2 3/4" h. After the big day, wear these versatile dangles for a night on the town or romantic candlelight dinner. With a Lifetime Guarantee, these lustrous stunners will become a treasured addition to your jewelry collection. We promise you'll love these top selling stunners or your money-back. Treat yourself or someone you love to some gorgeous retro-style sparkle. As always, enjoy Mariell's exclusive Risk-Free purchase policy and Lifetime Guarantee. 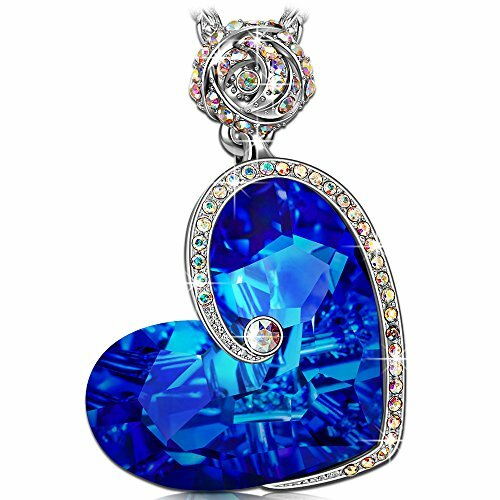 Compare prices on Crystal Jewelry Rose at Elevelist.com – use promo codes and coupons for best offers and deals. We work hard to get you amazing deals and collect all avail hot offers online and represent it in one place for the customers. Now our visitors can leverage benefits of big brands and heavy discounts available for that day and for famous brands.